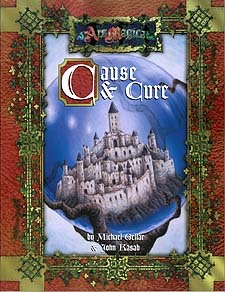 The Misty Palace is a place of danger and self-reflection, where the characters' actions determine whether they live or die. They must face themselves on a footing where there is less difference between magus and mundane, deacon and ditch-digger, grog and grape-grower than in Mythic Europe. The characters will have to look inside themselves in order to survive their journey.